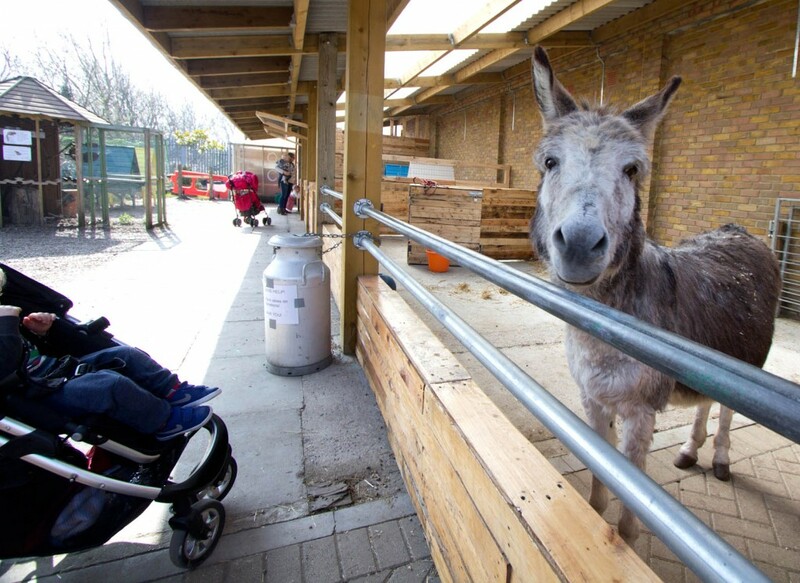 For the last year, George the donkey has been one of our most popular residents. He came to us in a sorry state and thanks to help from some kind supporters, including Sandra Ireland and George Green’s School, we were able to fund the medical care that he needed. He is now in good health although he will continue to need extra attention on an old leg injury. George is about seven years old, and he has never been neutered, which is why he cannot share a field with our two jennies, Dissy and Snowflake. 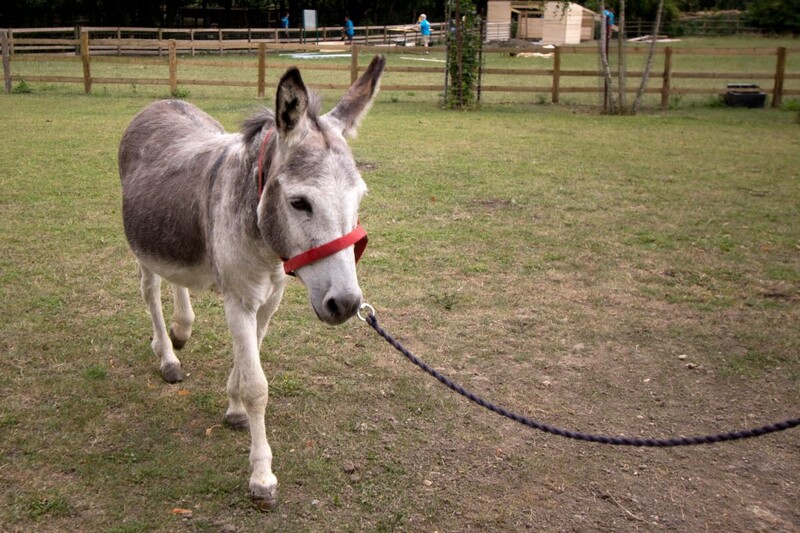 As donkeys are a herd animal, this means he doesn’t have the companionship that he should have. We also don’t really have the facilities at Mudchute to neuter him, as the procedure is complicated and risky in adult donkeys. So, after taking expert advice on what would be best for George, we have decided to rehome him to the Donkey Sanctuary in Devon. They have kindly agreed to organise the journey, take him in and give him the care and companionship of other donkeys that he needs. We will be very sad to see him leave, but feel that we must put his welfare above everything else. 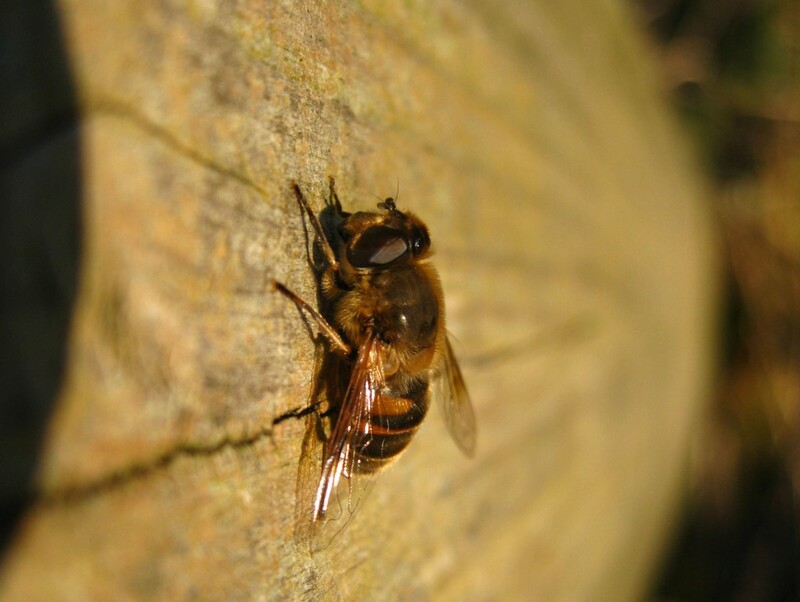 Recent warm weather has brought out the Spring bulbs and coaxed a number of pollinators from their hibernation. 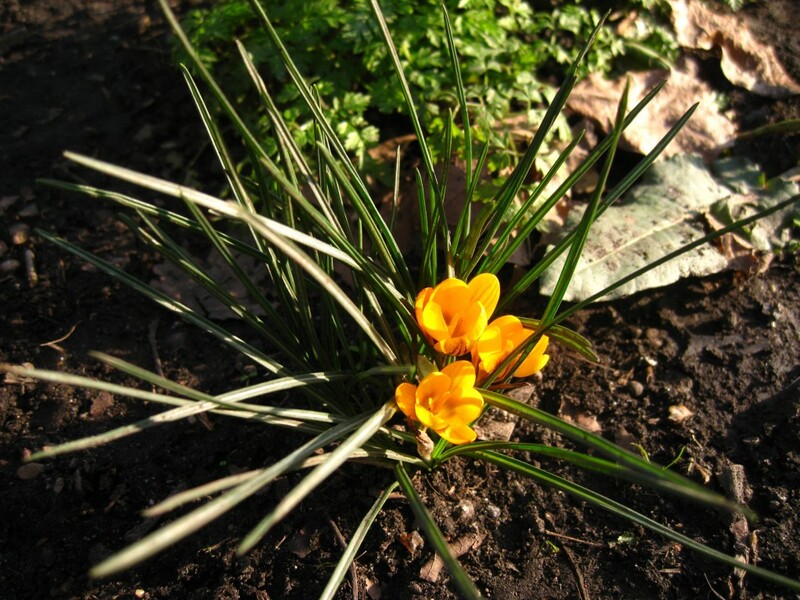 Despite snow last week, it is starting to look like Spring may be on its way! 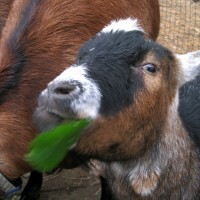 Visiting the farm this week? 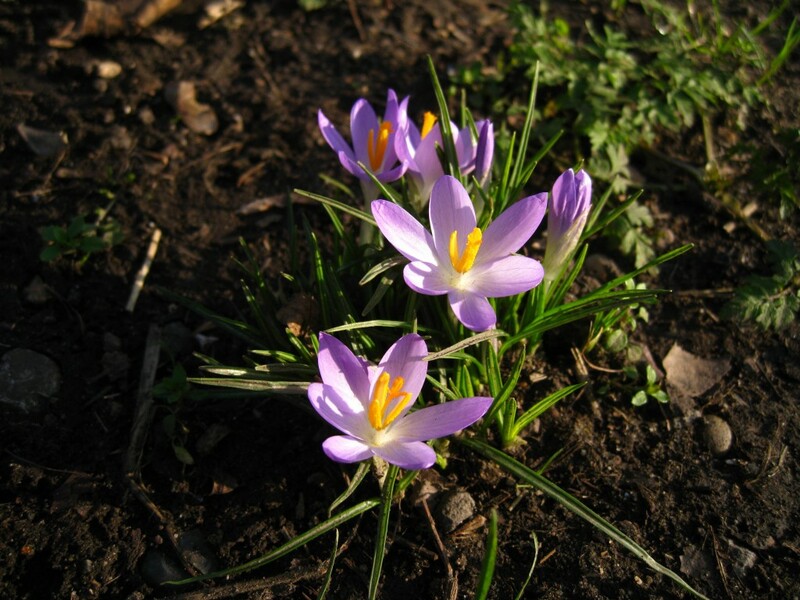 Keep an eye out for the crocuses and snowdrops and listen out for the buzz of queen bumblebees venturing out from their cozy winter burrows. 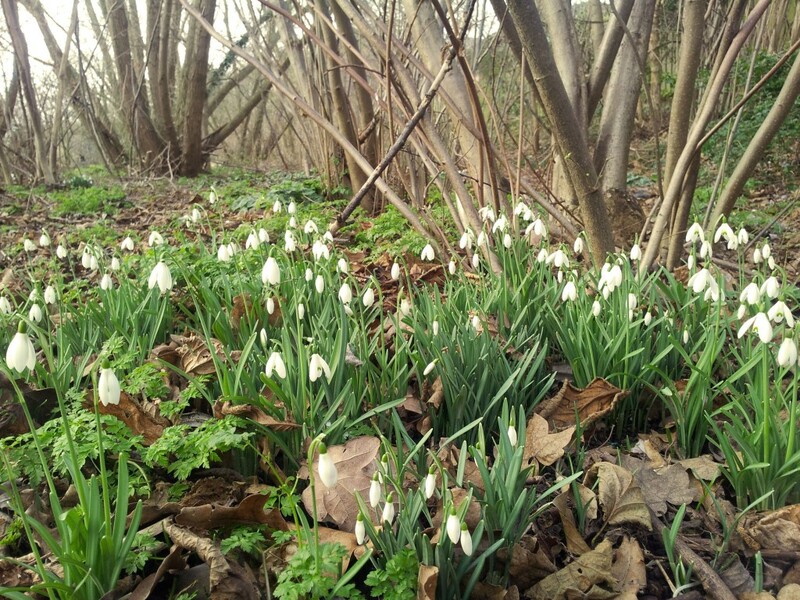 Across Mudchute, we try to encourage and support our local wildlife and in order to do so, we must manage our habitats for local flora and fauna populations. Last year we began restoration projects on our banks, returning these areas to more open grassland. This year we are continuing to do so in several areas across the site where brambles have recently taken over. 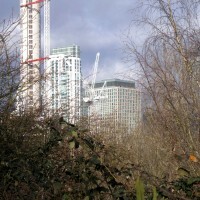 Brambles are fast-growing and can make excellent habitat for nesting birds, but they also crowd out many of the flora and fauna that inhabit the open grassland habitats that Mudchute offers. 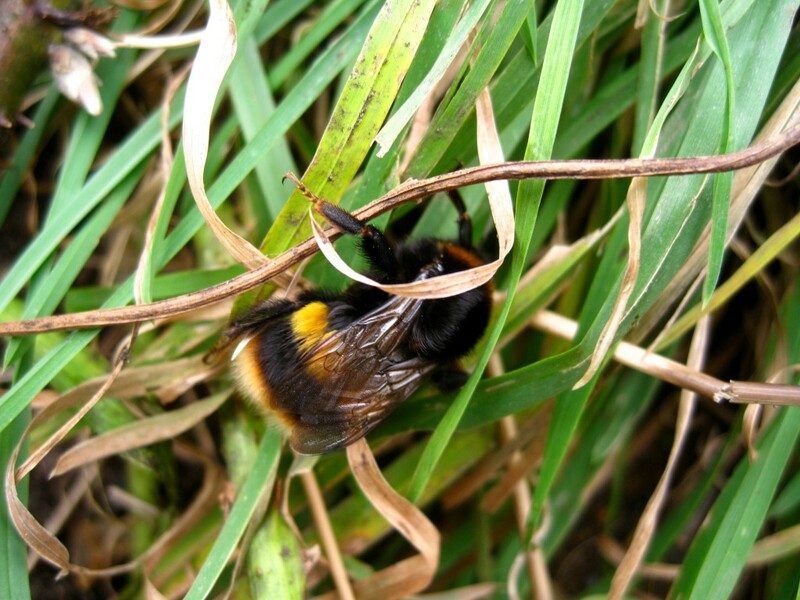 We have taken professional advice as to where and when works can be carried out and our works are targeting key habitats. To minimise disruption to wildlife, we will be carrying out the works now so not to interfere with nesting birds. 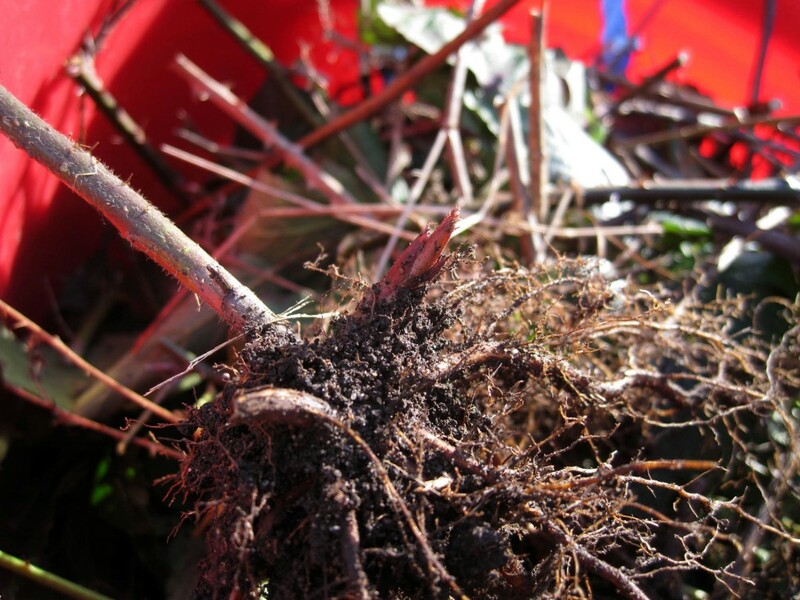 To remove the brambles, we must not only cut back the visible growth, but also remove their roots to prevent rapid recolonisation. New canes begin growing as new shoots from just below the surface in the form of bright pink new buds. Brambles have a few other tricks up their sleeves as well. If a cane meets the soil, the area in contact with the soil can put out roots of its own, tapping into even more resources and fuelling even more growth! 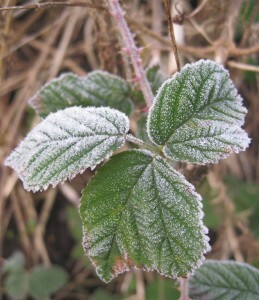 And of course, one cannot forget those unforgiving thorns, which are found across the plant, even including its leaves! All in all, cutting the brambles back is a tough job, but we look forward to seeing the benefits soon. The area may look a bit messy at the moment, but Spring should bring some rather more interesting wildflowers to the area. Thank you for your patience and understanding! In the meantime, we have produced lots of delicious forage for our goats and pigs and the local wildlife have even pulled together an impromptu cleanup crew, following us as they forage for invertebrates in the disturbed soil. There are plenty of robins in tow and we have even spotted a fox having a go at some earthworms! Interesting in lending a hand? Could you lend your expertise or equipment? We are always grateful for contributions! Please get in touch with us at voluntering@mudchute.org or to find out more about other ways you can help support our work. 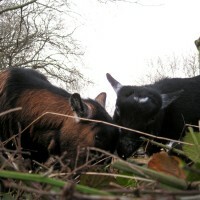 Pygmy goats make quick work of bramble cuttings. 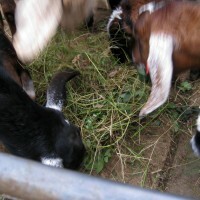 The goats rush for the tastiest cuttings. 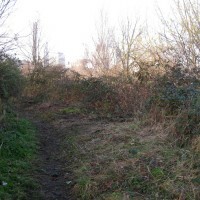 Flora will quickly claim the areas where brambles have been removed. 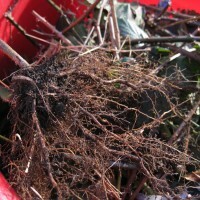 The roots of an opportunistic cane. A robin waits for more invertebrates to be revealed.